5 Reasons Purple Lovers Should Subscribe to Grape Value News! Hi and welcome to FortheLoveofPurple.com! This is the place for the latest purple news from all over the web. Unfortunately, some Purple Peeps don’t yet know about a ‘grape find’ out there in the purple corner of the world wide web. So, I thought I’d share a bit. 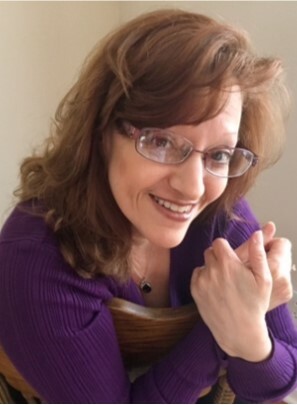 I’m JoJo Tabares, founder and purple author. I’ve loved purple ever since I was a purple tot. As my mom tells it, I was about two weeks old when my parents and I set out by car across the country from Colorado to Florida, our next stop along my grape road to adulthood. There was no AC back in the olden days, and it was pretty warm inside the car. My face turned purple as I was having a hard time breathing in the hot car. My parents pulled over to cool me down and the rest, my mom says, is history. I’ve loved purple ever since. I had a little purple ring atop my Playschool ring toss toy that was the only one I played with…and, apparently, tried to eat. Unfortuately, the world was not yet ready for us Purple Passionate People. Very few things came in purple, so when they began to make more and more things in purple, I went Grape Ape Nuts over them. If it came in purple, I wanted it. Years later, I found that there were many more out there like me and I started this site. It lead me to create a For the Love of Purple Facebook fan page which now has over 5000 purple passionate people. Pretty much everything I do involves purple. Each and every website I created, no matter the topic, product, or service, was grapeified! I’m deeply concerned about the family unit and have a heart to help families in as many was as I possibly can so each one of my businesses and ministries involve families. I began sharing them on Facebook. However, I found it increasingly difficult to reach my Facebook audience due to the ever changing algorithms they put in place to entice business owners to advertise. What we found was that we were spending a good deal of money, but not getting the sales. In fact, the ONLY fan page, or group we had that was reaching enough people to justify remaining on Facebook was our purple fan page and even with over 5000 fans, Facebook wasn’t showing our posts to anywhere close to even HALF of our fans. Which was sad because we had been developing even more incredible purple products our fans had been asking for! Facebook will not show posts with a link that takes fans off of Facebook so almost none of the free gifts or special offers were ever even shown. Facebook had made the choice for our fans before they ever had a chance to decide for themselves if a post was worth their time to read. So we made the decision to move off of social media altogether (with the exception of our purple fan page) in order to have more control over what we share and to ensure that all of our fans actually get to decide for themselves which of our posts, free gifts, and special offers they’d like to take advantage of or ignore. Last year, I began a mailing list for families where, each week, I share a free gift and at least one discounted product or service families need. Some weeks there are several. Some are for young families and some are for those with older kids or even empty nesters with grand kidlings! So, why would you want to go to the trouble of subscribing? YOU decide which items you’d like to get free or discounted! Aside from that HUGE advantage that you and you alone get to decide which offers are valuable to you and your family, there are a few other reasons you’ll want to make sure you whitelist us! Each and every week, we will have a free gift for your family! It may be an eBook FULL of valuable information on a particular subject your family will benefit from or it could be a FREE PRODUCT! So I guarantee that there will be something free of charge that will be offered to your family every single week! Every week’s issue will be delivered right to your inbox. You don’t need to worry about making sure you log onto Facebook each day or go through all our grape purple posts to find which ones Facebook didn’t see fit to show you. It will be delivered to your inbox awaiting your perusal whenever you get the chance! You can keep each issue in a file folder on your desk top to refer to. Many week’s I have a family resource to share so, instead of trying to remember or writing them all down, you can simply keep each email in a file on your computer to refer to whenever you like! You get a free gift just for subscribing! 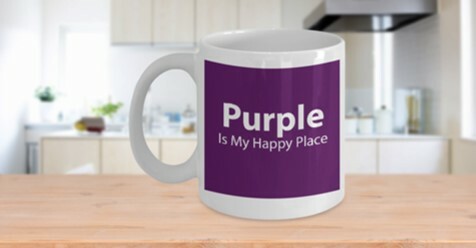 MANY of the products and services we share will be PURPLE! 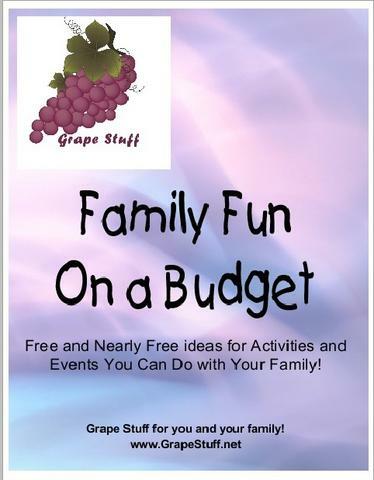 So, if you’re tired of having Facebook or other social media decide what is important for your family, make sure you’re subscribed to Grape Value News from our parent company, Grape Stuff, LLC! Make sure you’re subscribed to the Grape Value News mailing list to make sure you get the weekly free gifts, exclusive discounts, and special offers as the newest purple products will be announced there first. And, since there will be a limited supply and time they will be offered, you’re going to want to know as soon as possible when they are available! PLUS: You get a free gift just for subscribing! What’s new at For the Love of Purple?